Attorney Martinucci's practice is concentrated on providing public and private sector employers with legal advice and representation in various employment and civil rights matters in both union and non-union settings. He represents clients before the Equal Employment Opportunity Commission, the Pennsylvania Human Relations Commission and the Erie County Human Relations Commission against allegations of employment-related discrimination and harassment, and he has had favorable results. Attorney Martinucci has also successfully litigated wrongful discharge and employment discrimination cases before various state and federal courts in western Pennsylvania and conducts collective bargaining negotiations for public and private sector clients. His clients include private and publicly traded corporations, religious organizations, school districts, municipal authorities, insurance companies and individuals. 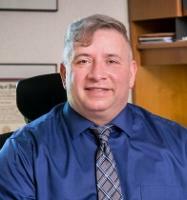 Attorney Martinucci represents municipal governments, police departments, authorities and school districts, together with their employees, in a variety of areas, both as a solicitor and in litigation matters, including alleged civil rights violations and related claims under the U.S. and Pennsylvania constitutions and other statutes. He has successfully defended various public entities and their agents against claims of sexual harassment and racial, gender and national origin discrimination, and against alleged deprivations of constitutional and civil rights under 42 U.S.C. §§1981 and 1983-1988. Additionally, attorney Martinucci also represents parties in complex commercial litigation and contract cases, as well as in personal injury and insurance bad faith matters.